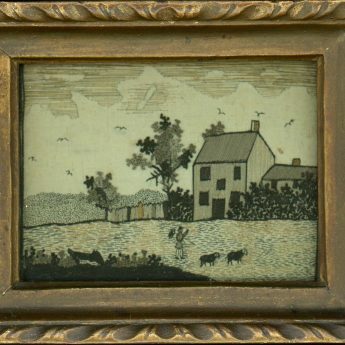 These are a delightful miniature pair of needleworks stitched using silk thread in monochrome shades supplemented with golden coloured hair. 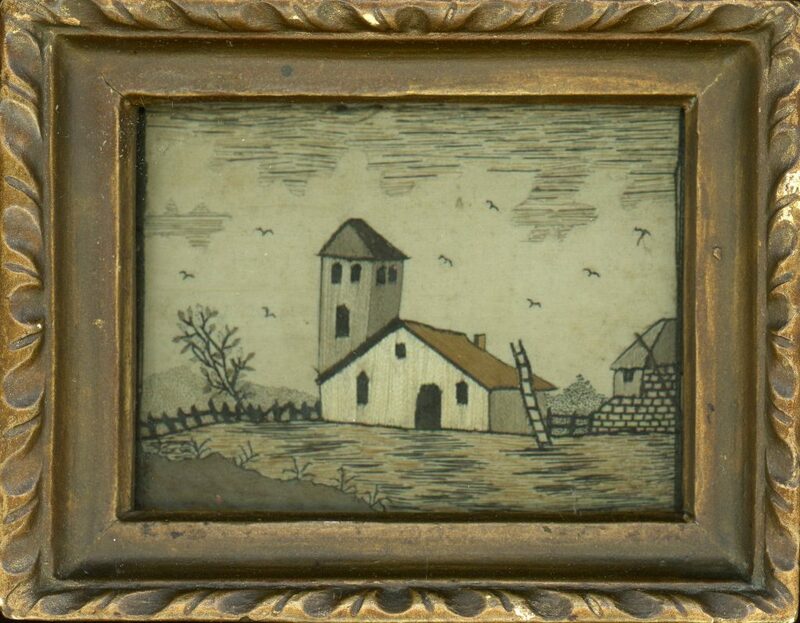 One shows farm buildings, one with an attached tower and with a ladder propped against it; the other shows a farmhouse in a landscape with the farmer herding his sheep in the foreground. 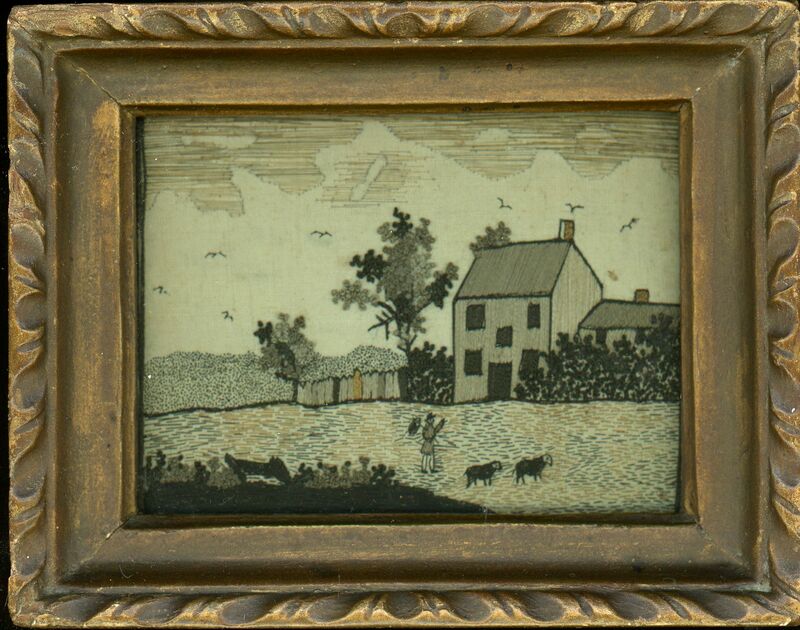 The needleworks are on a silk ground tacked to a pine board. 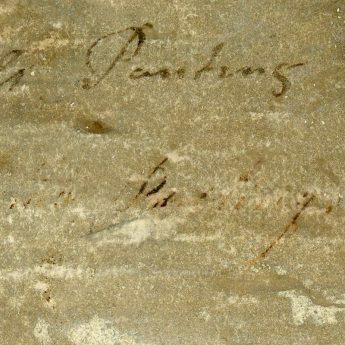 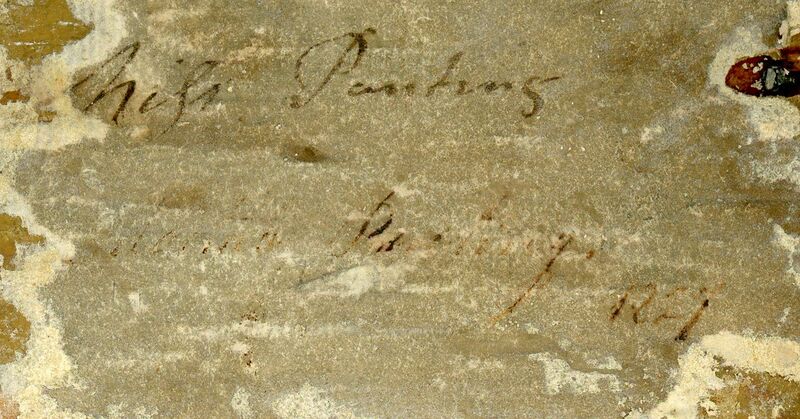 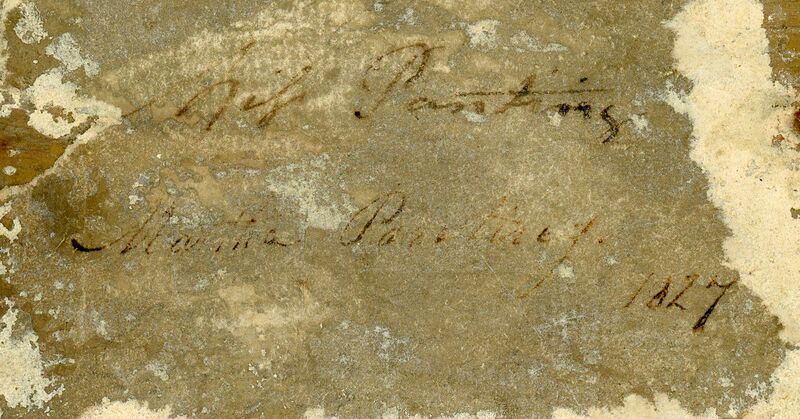 They are both indistinctly inscribed on the reverse – ‘Miss Panting / Martha Pa—– / 1827’. 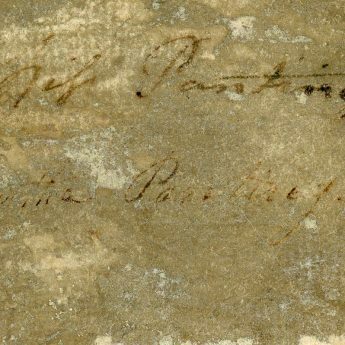 Excellent condition and housed in what appear to be the original giltwood frames.